The parents of an Arizona woman in a vegetative state who gave birth released a statement Tuesday that they said sought to counter any misconceptions about their daughter's condition. 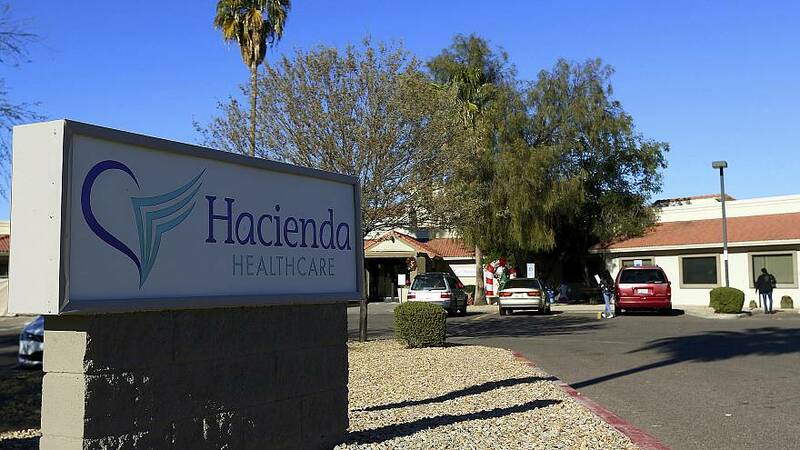 The 29-year-old woman gave birth to a baby boy on Dec. 29 at a long-term care center, Hacienda HealthCare in Phoenix, where her caregivers had not been aware she was pregnant. Her family in a statement Tuesday through their attorney said she is "not in a coma." "She has significant intellectual disabilities as a result of seizures very early in her childhood," the attorney's statement said. "She does not speak but has some ability to move her limbs, head and neck. Their daughter responds to sound and is able to make facial gestures. The important thing is that she is a beloved daughter, albeit with significant intellectual disabilities." The Brain Foundation defines a person in a vegetative state as awake but showing no signs of awareness. They may be able to open their eyes, wake up and fall asleep, and have basic reflexes according to the Brain Foundation's website. "In contrast, a coma is a state that lacks both awareness and wakefulness," the website states. NBC News was not immediately able to reach the family's attorney to get more information on her condition. The family's statement comes a day after news broke that one of the physicians responsible for their daughter's care was suspended and another resigned. Hacienda HealthCare's former CEO Bill Timmons, resigned on Jan. 7. Authorities are investigating the woman's case as a sexual assault. Phoenix police collected DNA samples from Hacienda's male staff earlier this month and the facility announced on Jan. 13 that it hired a private lawyer to determine how the woman was impregnated.